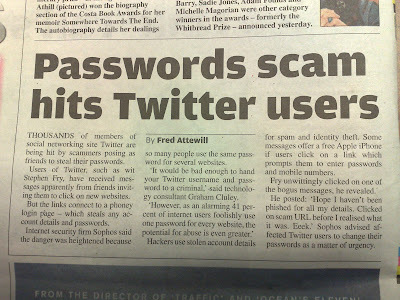 Twitter is everywhere in UK newspapers at the moment - even hitting the front page of the Financial Times! 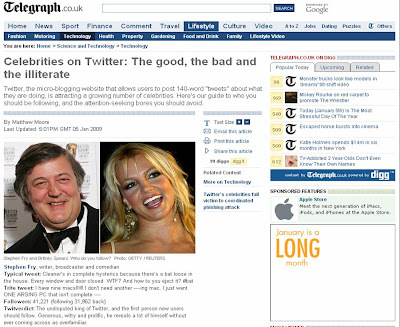 Celebrity Twitter usage is driving coverage, with most stories featuring Stephen Fry, John Cleese and Britney Spears, whilst Jonathan Ross' tweets have proved irksome to the mainstream media who seem to think he is poking fun at them from afar (under the user name 'Wossy' the BBC's suspended Jonathan Ross detailed himself as 'resting'.) 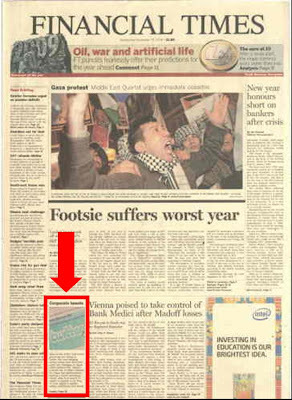 Other newspapers have covered different Twitter stories - the FT discussing corporate tweeting and Metro covering both Twitter phishing and Twitter Gaza coverage this morning. 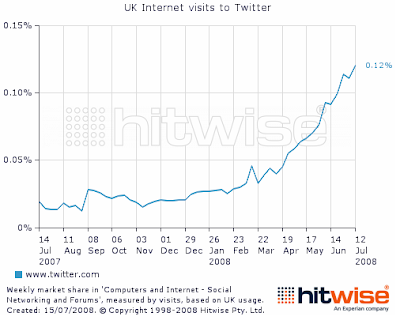 In July 2008 Robin Goad from Hitwise reported that UK internet visits to Twitter had grown 631% in 12 months and on 24th Dec www.twitter.com/Hitwise_UK stated that Twitter had become the 129th most visited website in the UK. Everything points to Twitter being the social network story of 2009! 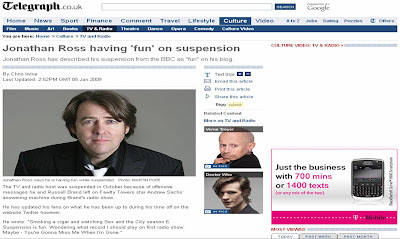 Russell Brand, Dave Gorman and Andi Peters join Twitter as UK celebrities embrace microblogging! I am @nickburcher on Twitter - follow my mundanity here!